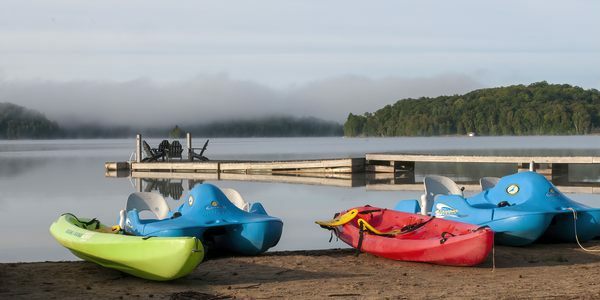 The resort is situated on the shores of Lake of Bays in the heart of Muskoka, an area renowned for its pristine lakes, natural beauty, clean air, and abundance of wildlife. To those living in Ontario, the area is affectionately referred to as "Cottage Country". Our guests enjoy the benefits of having cottage accommodation. Families will appreciate the convenience of separate bedrooms. Couples will enjoy the privacy of their own cottage. There is much to do and see at Blue Water Acres. There are more recreation facilities at the resort than most other resorts.